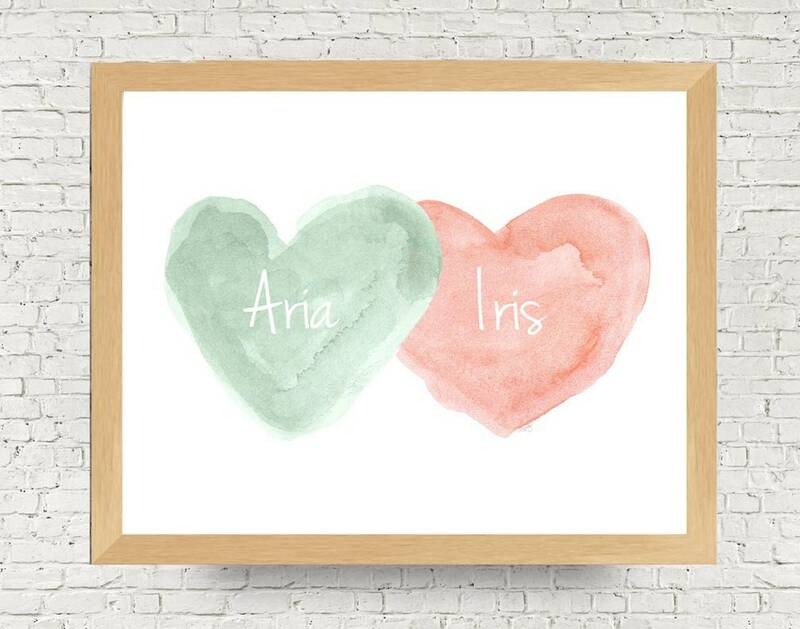 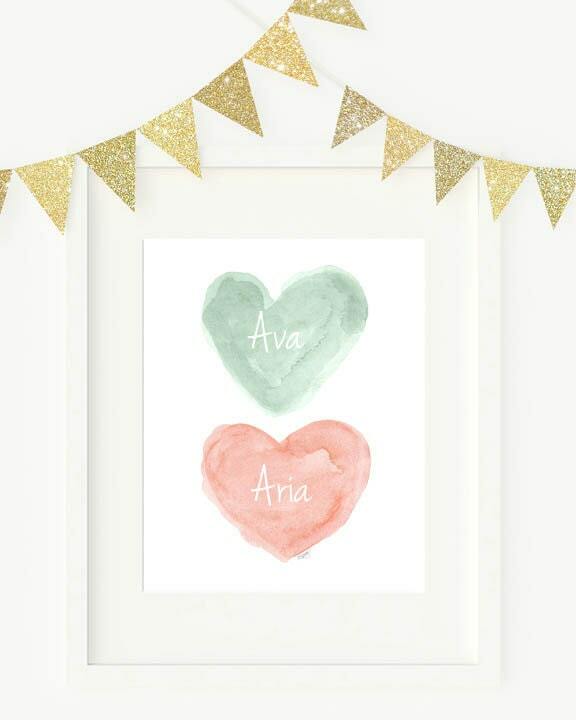 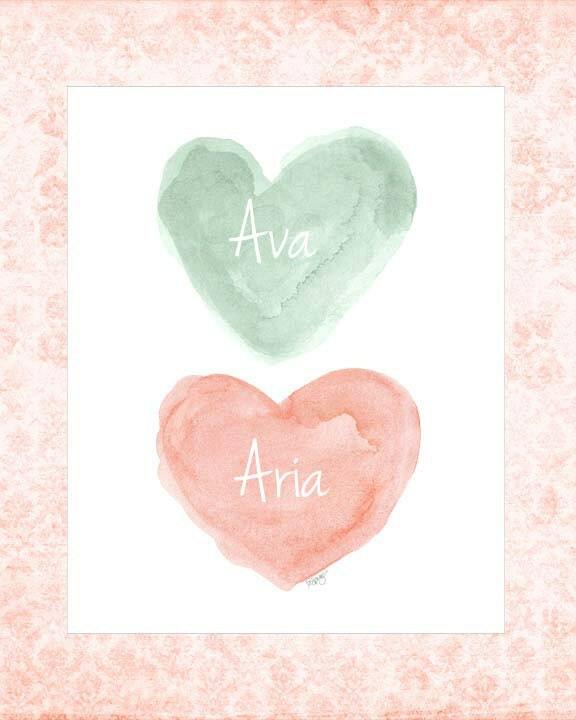 A pretty pair of watercolor hearts celebrating your special girls. 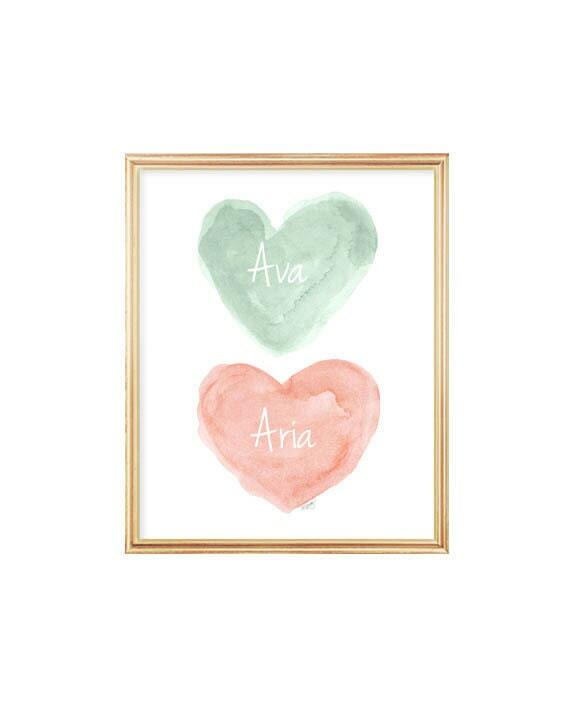 Perfect for your coral and mint nursery. 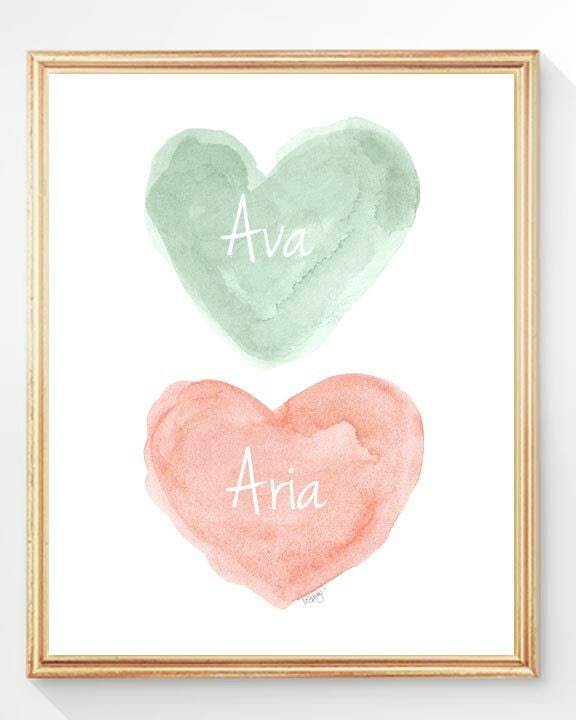 Each heart is recreated from my original watercolor paintings. 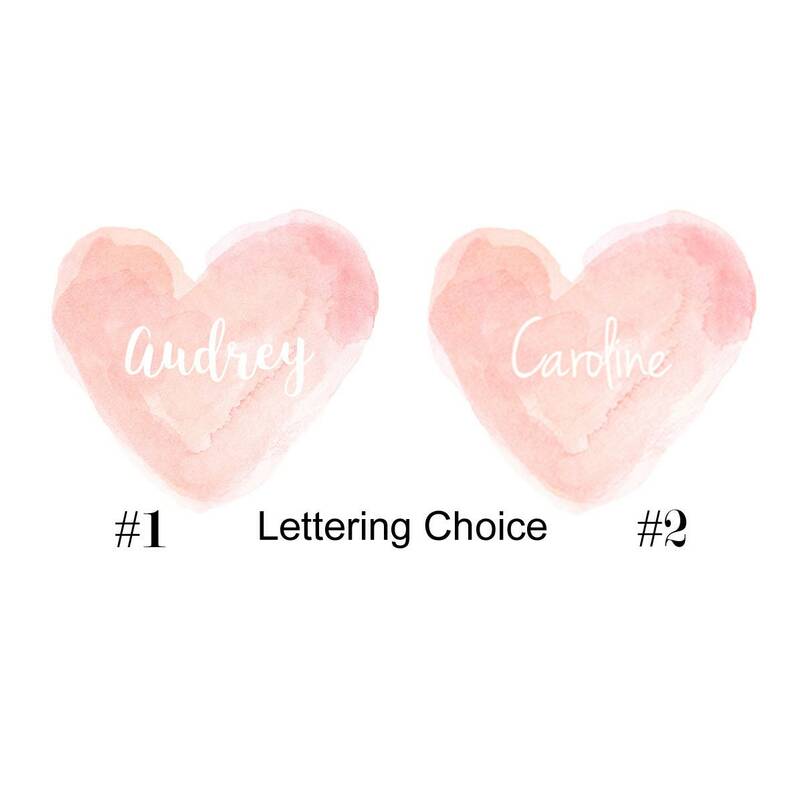 Just leave the names in the notes to seller at checkout for each color. 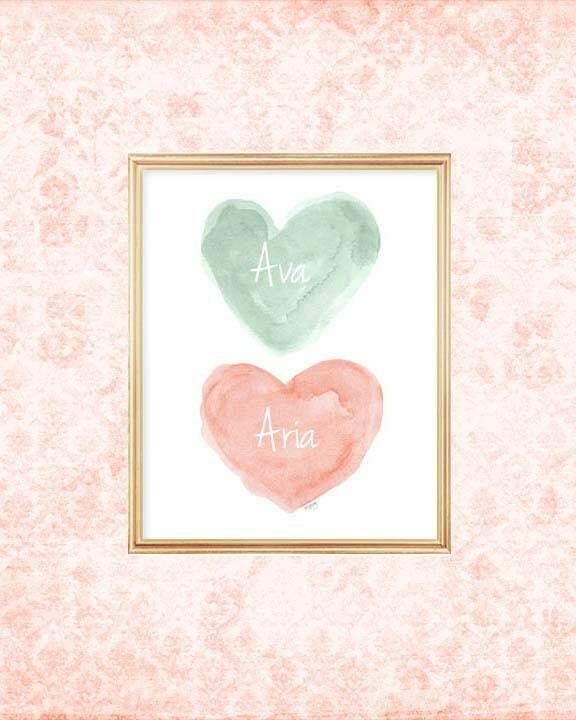 Beautiful, fast delivery, great communication.